The Combat Evolved Mod is a new Halo style mod that adds in loads of new weapons, ores and mobs. The mod is in beta at the moment and comes with a warning from the developer, if you install this mod it may be a bit buggy. 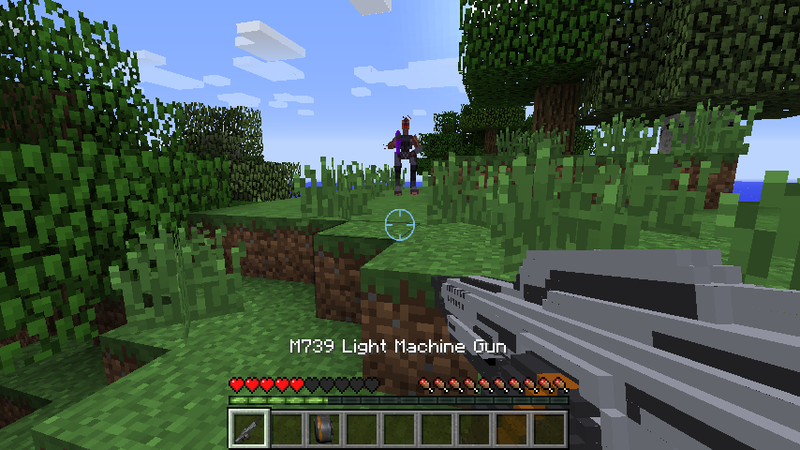 The mod adds in a new mob called the Jackal Sniper – they are deadly opponents and will aim for your head. The mod also adds in old favourites like the SAW assault rifle and the BR55 Battle Rifle! So what are you waiting for silly – download this awesome mod today! To use the mod, you first of all need to install the mod with the help of Combat Evolved Mod. Then you can simply load up your latest Minecraft game and enjoy its features automatically. Adds in a range of new weapons including the SAW and the BR55 battle rifle. Adds in loads of new mobs including the Jackal Sniper!